Today Saturday, FC Barcelona begin their bid to win a third consecutive Liga title. 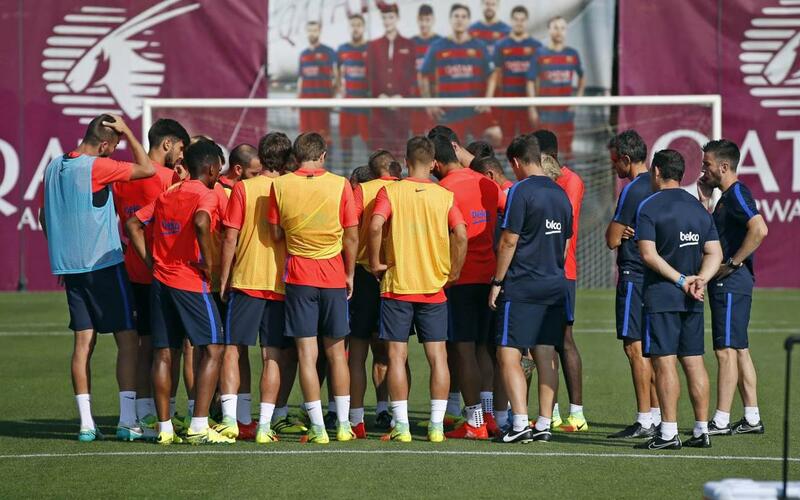 The first of 38 fixtures is at home to (6.15 pm, BeIN La Liga), just three days after winning the Spanish Super Cup. But manager Luis Enrique already has a number of absences to work around, with Ter Stegen, Andrés Iniesta, Mascherano and Mathieu injured, André Gomes suspended and Neymar Jr and Rafinha about to play the Olympic final against Germany in Rio. That means a place in the first league squad of the season for Barça’s B’s Kaptoum. The full squad for the game at the Camp Nou is thus as follows: Bravo, Masip, Douglas, Piqué, Rakitic, Busquets, Denis, Arda, Suárez, Messi, Samper, Munir, J. Alba, Digne, Sergi Roberto, Aleix Vidal, Umtiti and Kaptoum.